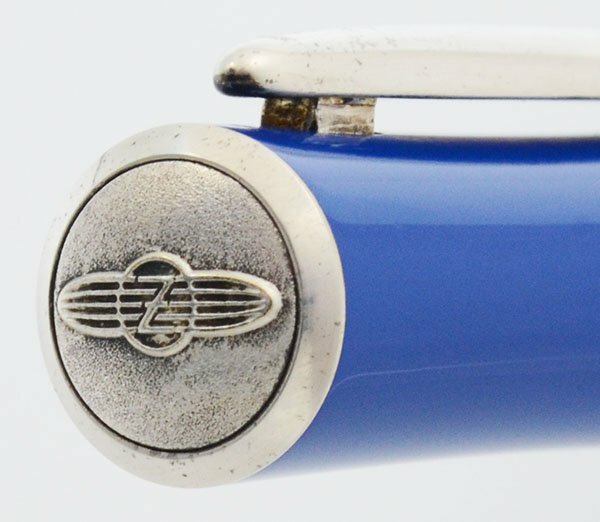 These Zeppelin pens came out in 1996 to commemorate the opening of the Zeppelin Museum in Germany. 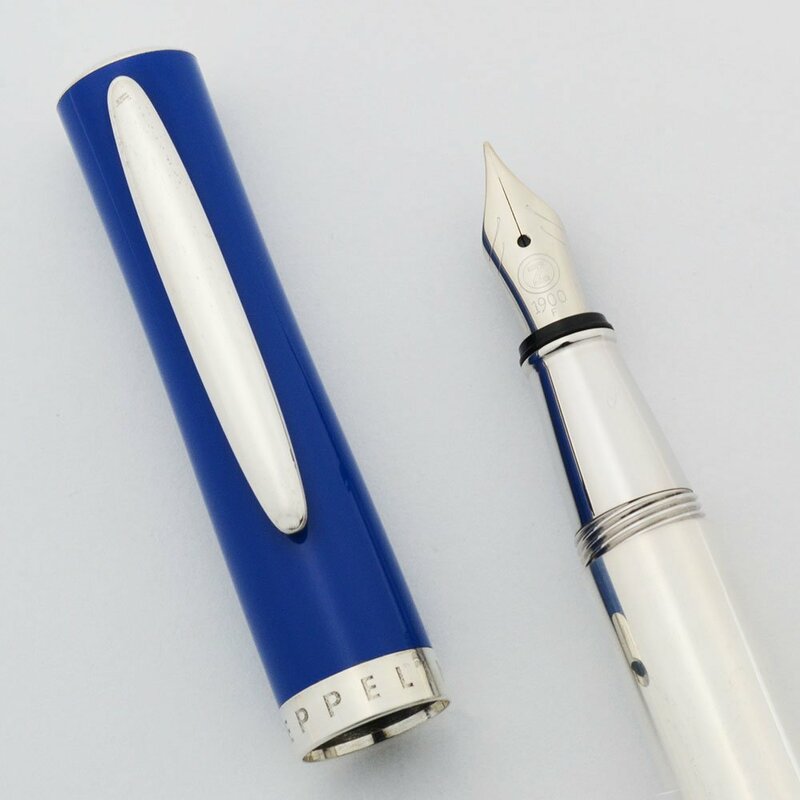 They are made by Senator and are a mix of blue enamel and silver plating. Fine steel nib. Excellent condition. 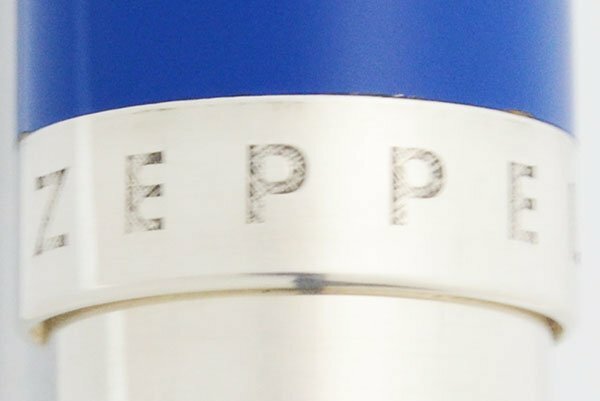 Manufacturer and Year Zeppelin, Germany -- late 1990s, the model came out in 1996. Filling System International style cartridges and converters. Currently fitted with a converter. Color Silver plated section, barrel, and trim. Blue enamel cap. Nib FINE steel nib. it is smooth and has a 1900 on it. Condition Excellent condition. There are a few scratches on the clip and marks in the barrel. 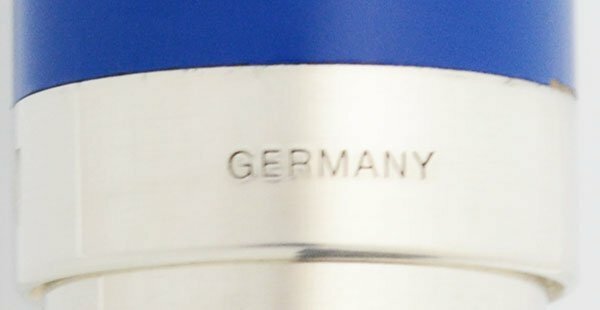 The enamel looks almost perfect except for a tiny area near the cap band ... you can see it below in the close-up that shows "germany" on the band. Some other light usage signs are present. No cracks, chips, or dents.